Do you have a plan for your golden years? Whether you hope to travel around the world or stay at home and hang out with the grandkids, one thing you want to make sure of is that you have financial security during your retirement. The sooner you begin the process of planning and saving, the greater the likelihood you will be able to achieve this dream. When should I begin retirement planning? What do I need to know about IRA and retirement planning? 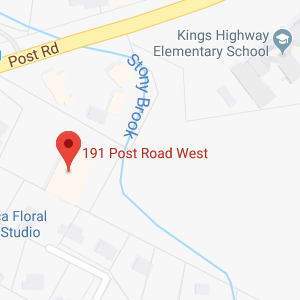 How can a Connecticut retirement planning lawyer assist me? Retirement planning should begin today. If you do not already have a solid plan in place to save, there is no time to waste. This is true whether you are 20 or 40 or 60. Having a plan, knowing what you need to achieve it, and following through is going to be essential to saving enough for a secure retirement. The sooner you begin, the easier it will be to achieve your dreams. Traditionally, many people were able to rely on a pension from an employer, as well as on Social Security to provide a steady retirement income. Unfortunately, the world has changed and few people have defined benefit pension plans which will provide for them into old age. There is even uncertainty about the longterm financial viability of the Social Security system. You owe it to yourself to save and to provide for your own future. When you begin retirement planning early, you can take full advantage of tax benefits provided by IRA accounts. You’re allowed to invest a certain amount a year in these accounts, and once a year has passed without an investment that opportunity is gone forever. Starting young also helps you to make compound interest work for you. The good news, however, is it is never too late to begin making your plans and developing a retirement strategy. Nirenstein, Horowitz & Associates P.C. will offer you personalized advice for saving and structuring investments at any age as well as advice on how to manage your retirement nest egg. Just give us a call now to get started so you can get on the path to financial security. The first thing you’ll need to decide is how much you want to save for retirement. A Connecticut retirement planning lawyer can evaluate your current financial situation, your expected future financial situation, and your goals for your golden years. With our comprehensive advice, you can set forth a solid plan to ensure you are saving enough so you won’t have to worry about money or work longer than you want to. Deciding how to save is just as important as determining how much to save. You have different options including a traditional IRA, a Roth-IRA, a SEP-IRA, and a Simple IRA. Some of these accounts have significant restrictions on who can invest, like Simple IRAs and SEP-IRAs which are an option only for entrepreneurs and others with non-W2 income. Others are open to anyone, but with income limits. The different types of IRAs also provide different tax advantages, with some allowing you to invest with pre-tax funds and others allowing money to grow and be withdrawn tax free. Nirenstein, Horowitz & Associates P.C. can explain all your options and help you to make wise choices considering your current tax situation and your expected future income. We’ll also explain income limits, investment restrictions, and other issues relevant to choosing the right retirement accounts. When you have a knowledgeable advocate helping you to make a solid plan, successful investing will be easier than you imagined. How Can a Connecticut IRA and Retirement Planning Lawyer Help You? A Connecticut IRA and retirement planning lawyer can offer you invaluable advice and answers to all of your retirement questions. 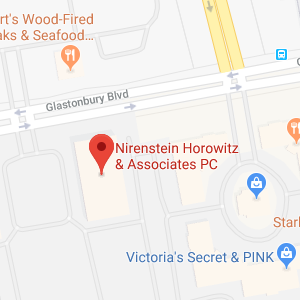 Nirenstein, Horowitz & Associates P.C. helps you to determine how to invest and how much. Our experienced legal team also advises seniors on the rules for withdrawals and on how to preserve their nest egg to maintain ongoing financial stability. To learn more about the legal services and assistance we offer, give us a call today at (860) 548-1000.